Tucked away in Siberia, there are furry, four-legged creatures with wagging tails and floppy ears that are as docile and friendly as any lapdog. But, despite appearances, these are not dogs - they are foxes. They are the result of the most astonishing experiment in breeding ever undertaken - imagine speeding up thousands of years of evolution into a few decades. 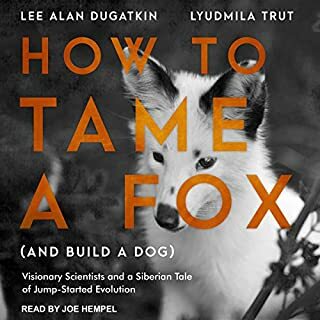 In 1959, biologists Dmitri Belyaev and Lyudmila Trut set out to do just that, by starting with a few dozen silver foxes from fox farms in the USSR and attempting to recreate the evolution of wolves into dogs in real time. 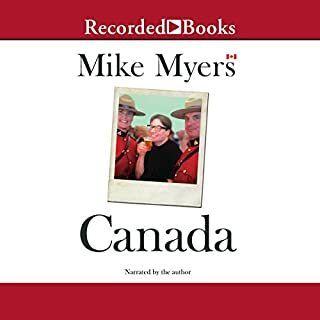 Comedy superstar Mike Myers writes from the (true patriot) heart about his 53-year relationship with his beloved Canada. Mike Myers is a world-renowned actor, director and writer and the man behind some of the most memorable comic characters of our time. But, as he says, "No description of me is truly complete without saying I'm a Canadian". He has often winked and nodded to Canada in his outrageously accomplished body of work, but now he turns the spotlight full-beam on his homeland. Danish countess Karen Blixon, known as Isak Dineson, ran a coffee plantation in Kenya in the years when Africa remained a romantic and formidable continent to most Europeans. 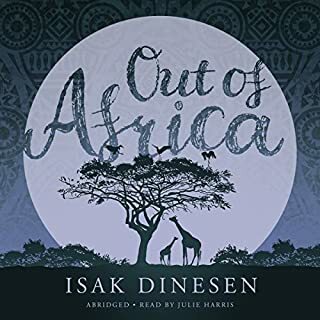 Out of Africa is her account of her life there, with stories of her respectful relationships with the Masai, Kikuyu, and Somali natives who work on her land; the European friends who visit her; and the imposing permanence of the wild, high land itself. Late one June night in 2011, a large animal collided with an SUV cruising down a Connecticut parkway. The creature appeared as something out of New England's forgotten past. Beside the road lay a 140-pound mountain lion. Speculations ran wild, the wildest of which figured him a ghostly survivor from a bygone century when lions last roamed the eastern United States. But a more fantastic scenario of facts soon unfolded. It is All Souls Day, and the spirit of Marcus Conway sits at his kitchen table and remembers. In flowing, relentless prose, Conway recalls his life in rural Ireland: as a boy and man, father, husband, citizen. His ruminations move from childhood memories of his father's deftness with machines to his own work as a civil engineer, from transformations in the local economy to the tidal wave of global financial collapse. Conway's thoughts go still further, outward to the vast systems of time and history that hold us all. In this atmospheric and profoundly moving debut, Cathy and Daniel live with their father, John, in the remote woods of Yorkshire, in a house the three of them built themselves. John is a gentle brute of a man, a former enforcer who fights for money when he has to, but who otherwise just wants to be left alone to raise his children. 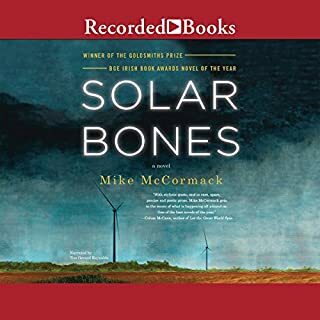 When a local landowner shows up on their doorstep, their precarious existence is threatened, and a series of actions is set in motion that can only end in violence. An epic memoir from a man whose life is defined by exploration and innovation, The Sky Below re-creates some of the most unforgettable adventures of our time. From dramatic, high-risk spacewalks to author Scott Parazynski's death-defying quest to summit Mount Everest - his body ravaged by a career in space - listeners will experience the life of an elite athlete, physician, and explorer. Half-Korean, half-Japanese, Masaji Ishikawa has spent his whole life feeling like a man without a country. This feeling only deepened when his family moved from Japan to North Korea when Ishikawa was just 13 years old. His father, himself a Korean national, was lured to the new Communist country by false promises of abundant work and a higher station in society. In this memoir translated from the original Japanese, Ishikawa candidly recounts his tumultuous upbringing and the brutal 36 years he spent living under a crushing totalitarian regime. The story of a student who went to extraordinary lengths - including living in a van on a campus parking lot - to complete his education without sacrificing his financial future. In a frank and self-deprecating voice, memoirist Ken Ilgunas writes about the existential terror of graduating from college with $32,000 in student debt. Inspired by Thoreau, Ilgunas set himself a mission: get out of debt as soon as humanly possible. To that end, he undertook an extraordinary three-year transcontinental journey. In How to Lose a Marathon, Joel Cohen takes listeners on a step-by-step journey from being a couch potato to being a couch potato who can finish a marathon. Through a hilarious combination of running tips and narrative, Cohen breaks down the misery that is forcing yourself to run. From chafing to the best times to run, explaining the phenomenon known as the "Oprah Line", and exposing the torture that is a premarathon expo, Cohen acts as your satirical guide to every aspect of the runner's experience. The dust storms that terrorized America's High Plains in the darkest years of the Depression were like nothing ever seen before or since, and the stories of the people that held on have never been fully told. 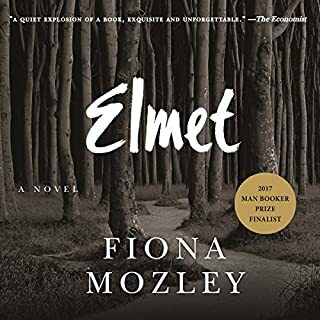 Pulitzer Prize-winning New York Times journalist and author Timothy Egan follows a half-dozen families and their communities through the rise and fall of the region. By turns a family drama and an action-adventure story, The Age of Daredevils chronicles the lives of the men and women who devoted themselves to the extraordinary sport of jumping over Niagara Falls in a barrel - a death-defying gamble that proved a powerful temptation to a hardy few. Internationally known in the 1920s and '30s for their barrel-jumping exploits, the Hills were a father-son team of daredevils who also rescued dozens of misguided thrill seekers and accident victims who followed them into the river. Kwan Wilson was a high school basketball star living in San Diego when a tragic accident changed his life in ways no one could predict. He only looked at his phone for a few seconds, but that was all the time it took to crash his car into a telephone pole, killing his mother and paralyzing him from the waist down. After the accident, his father, Admiral Douglas Wilson, sent him off to live with his maternal grandmother in South Florida. Meryl Streep’s performance of Colm Tóibín's acclaimed portrait of Mary is hailed by the New York Times Book Review as “an ideal audiobook,” presenting the three-time Academy Award-winner in “yet another great role.” Shortlisted for the Man Booker Prize, Colm Tóibín's The Testament of Mary presents Mary as a solitary older woman still seeking to understand the events that become the narrative of the New Testament and the foundation of Christianity. In the ancient town of Ephesus, Mary lives alone, years after her son's crucifixion. She has no interest in collaborating with the authors of the Gospel. They are her keepers, providing her with food and shelter and visiting her regularly. She does not agree that her son is the Son of God; nor that his death was "worth it"; nor that the "group of misfits he gathered around him, men who could not look a woman in the eye," were holy disciples. This woman who we know from centuries of paintings and scripture as the docile, loving, silent, long-suffering, obedient, worshipful mother of Christ becomes a tragic heroine with the relentless eloquence of Electra or Medea or Antigone, in a portrait so vivid and convincing that our image of Mary will be forever transformed. Living and dying with bravery and honor is at the heart of Hagakure, a series of texts written by an 18th-century samurai, Yamamoto Tsunetomo. It is a window into the samurai mind, illuminating the concept of bushido (the Way of the Warrior), which dictated how samurai were expected to behave, conduct themselves, live, and die. Russia, 1941. Katya Ivanova is a young pilot in a far-flung military academy in the Ural Mountains. From childhood, she's dreamed of taking to the skies to escape her bleak mountain life. With the Nazis on the march across Europe, she is called on to use her wings to serve her country in its darkest hour. Not even the entreaties of her new husband—a sensitive artist who fears for her safety—can dissuade her from doing her part as a proud daughter of Russia. Patrick Lewis arrives in Toronto in the 1920s and earns his living searching for a vanished millionaire and tunneling beneath Lake Ontario. In the course of his adventures, Patrick's life intersects with those of characters who reappear in Ondaatje's Booker Prize-winning The English Patient. Hundreds of hardy people have tried to carve a living in the Alaskan bush, but few have succeeded as consistently as Heimo Korth. Originally from Wisconsin, Heimo traveled to the Arctic wilderness in his feverous 20s. Now, more than four decades later, Heimo lives with his wife approximately 200 miles from civilization - a sustainable, nomadic life bounded by the migrating caribou, the dangers of swollen rivers, and the very exigencies of daily existence. Alaska's Arctic National Wildlife Refuge, home to only a handful of people, is a harsh and lonely place. 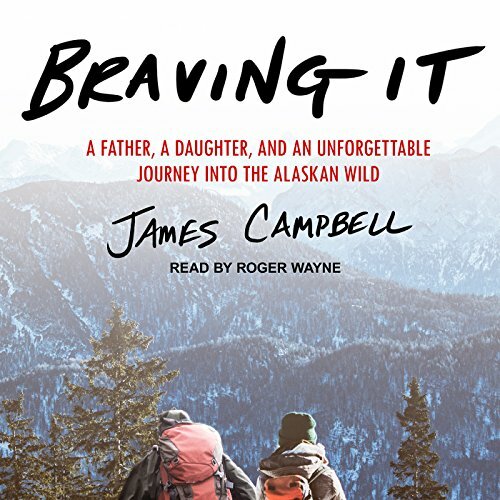 So when James Campbell's cousin Heimo Korth asked him to spend a summer building a cabin in the rugged Interior, Campbell hesitated about inviting his 15-year-old daughter, Aidan, to join him. Would she be able to withstand clouds of mosquitoes, the threat of grizzlies, bathing in an ice-cold river, and hours of grueling labor peeling and hauling logs? But once there, Aidan embraced the wild. She even agreed to return a few months later to help the Korths work their traplines and hunt for caribou and moose. Despite windchills of 50 degrees below zero, father and daughter ventured out daily to track, hunt, and trap. Campbell knew that in traditional Eskimo cultures, some daughters earned a rite of passage usually reserved for young men. So he decided to take Aidan back to Alaska one final time before she left home. It would be their third and most ambitious trip. 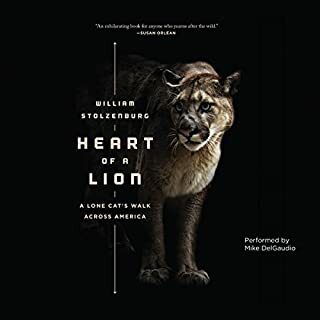 The journey would test them, and their relationship, in one of the planet's most remote places: a land of wolves, musk oxen, Dall sheep, golden eagles, and polar bears. Felt like I was right there, with them!!! As an avid hiker with a dream to someday hike in Alaska, I LOVED this book! Ive watched Heimo & Edna Korth on The Last Alaskans. and I love the detailed interpretation of their life. I appreciate the narrator's voice changes and could invision the scenery as he was describing them. If you have an ounce of wanderlust in you, I would highly recommend this book! Overall the performance was good and the story was good, but it was a bit redundant. Basically dad and daughter go to Alaska multiple times and each time seems relatively similar. The book was worth the time but it was just average in my opinion. Very well written. Kept me engaged. A must read for those enamored by the Alaskan Wild. It takes you there. Really loved the story. Narrator was great, but the portrayal of the teenage girls voice was painful. Something about the tone and style didn't sound like the strong willed teenage girl that she has proven her self to be. Given he central role it was distracting. But the rest was fantastic! If you have a daughter this is a must read. A lot of situations in the book I could relate to. Very very good book I look forward to his daughters books. Overall great. Lots of fowl language, would be Rated R if a movie. Story got bogged down a bit in places. Spoiler - it's actually 3 trips to AK. Inspirational and thought provoking story for all of us who wrestle w/ modern life in suburbia when our hearts yearn for adventure. Warmed my teen daughter daddy heart too. Reader and recording quality were mediocre at best. awesome story that keeps you wanting more. I listened to it twice. the narrator does a wonderful job. Wonderful story and the reader was easy to listen to. Only frustrating part was the mispronounciation of some of the words - Lodi is actually pronounced with a long I, not Lodee; slough is slew and I know the bird merganser as being pronounced with an emphasis on the second syllable. Just some Wisconsin oddities - at least he didn't have to pronounce Wausau or Chequamegon! I felt I was on the adventure with them. So many high points of the story! Three Adventures packed into a fast read. If you love the outdoors, you will love listening to the details of their excursions.